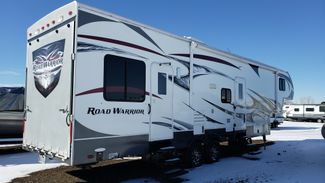 This 2013 Road Warrior 30C has the Titanium front end cap. 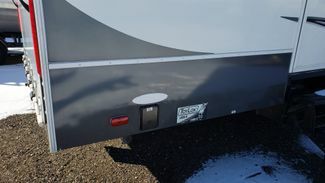 This allows the towing package to be shorter behind the tow vehicle and allow the trailer to work with a short bed truck without the need for a slider hitch. 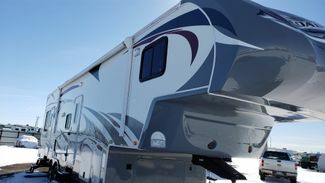 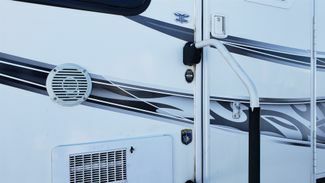 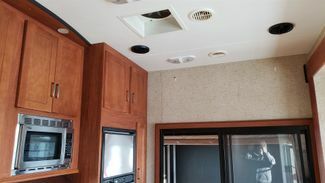 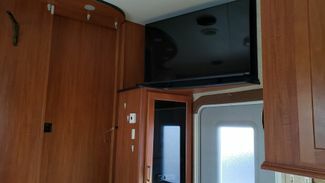 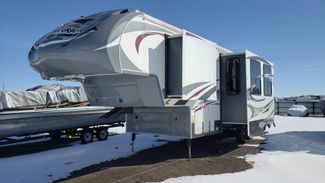 Due to this, a 40' 5th wheel has a tow length equivalent to a 35' unit as more of the trailer is over the truck and truck cab and increases bedroom area by 15% with better gas mileage. 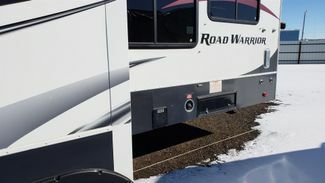 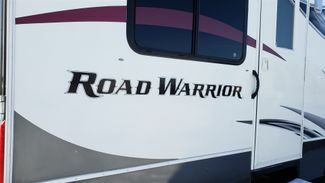 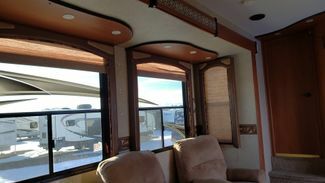 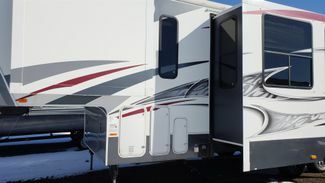 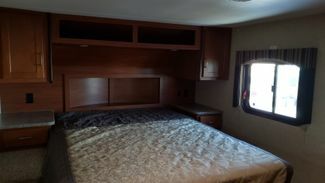 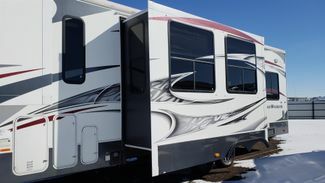 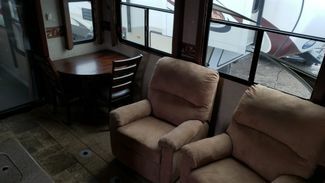 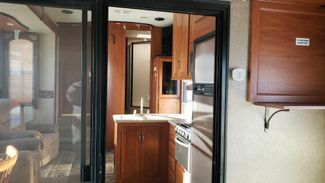 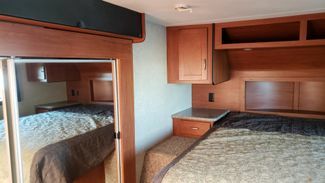 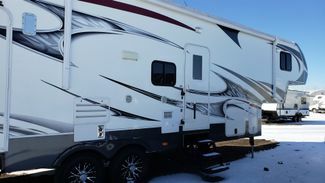 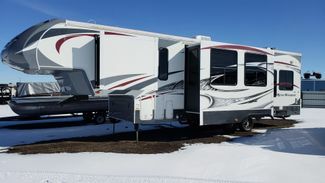 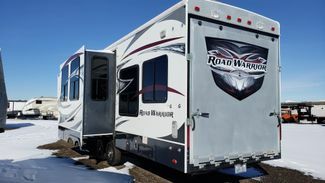 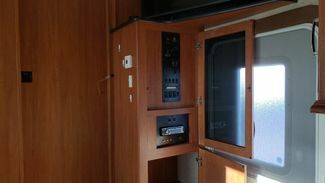 Step inside this Road Warrior 30C Titanium Edition fifth wheel by Heartland RV. 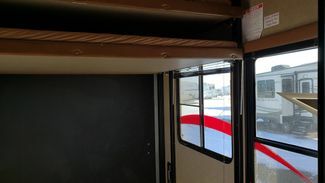 Featuring a 10' cargo garage for your toys, and comfortable living for you and a few friends! 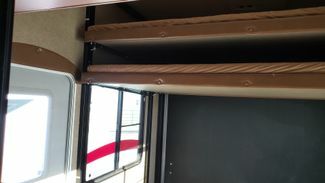 The rear ramp door will make loading and unloading any of your toys quite easy. 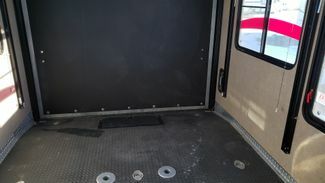 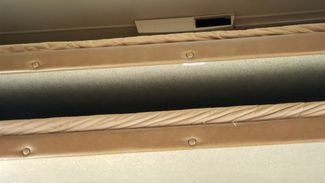 There is a convenient storage box built right into the cargo area floor. 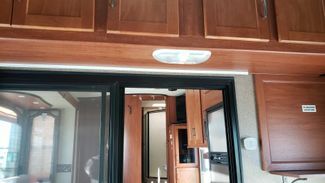 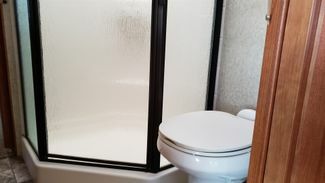 You will find it easy to access your cargo once the rear ramp is closed by using the side man door in this area, or choose to add the optional glass patio doors for easy access. 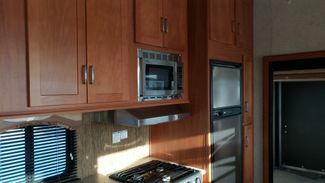 Inside the living area of this unit you will find a combined kitchen and living space which provides everything you need to prepare and cook your favorite meals. 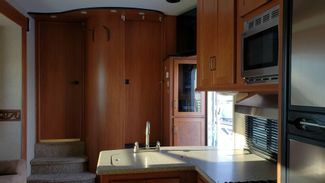 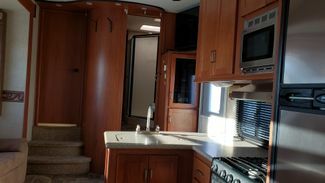 There is a pantry, a refrigerator, and three burner range. 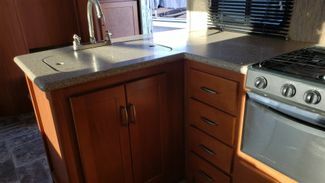 There is also plenty of counter space with an L-shaped counter that includes a double kitchen sink that will make cleaning up easy too. 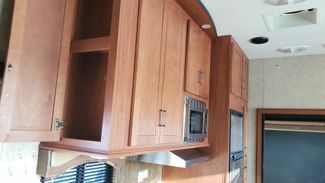 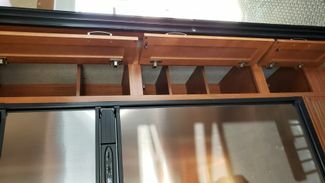 You will also find ample storage cabinets overhead for dishes and things. 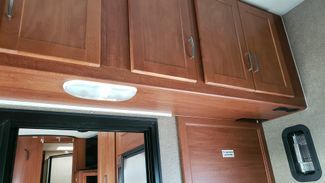 Immediately to your right as you step inside the main entrance you have a storage closet. 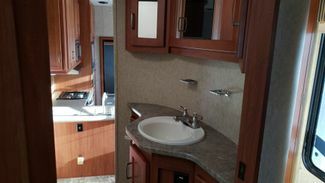 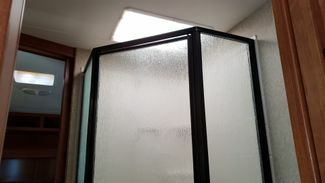 Then find steps up into a complete bath with angled shower, toilet, and large vanity with center sink. 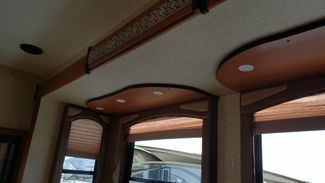 There is also a second sliding entry door that leads into the front master bedroom for added convenience. 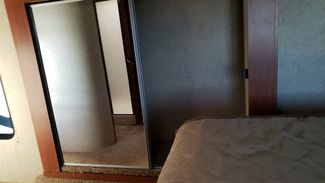 You can also access the bedroom from the hall once you step up the grand steps beyond the bathroom. 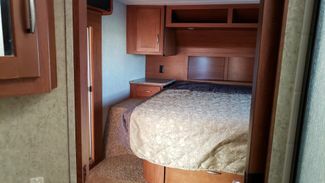 Here you will find a spacious master bedroom with slide out wardrobe, queen bed, dual bedside storage, plus overhead cabinets, and an entertainment center with TV to enjoy.